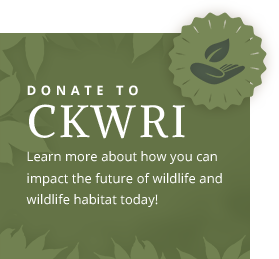 The mission of South Texas Natives it to develop and promote native plants for restoration and reclamation of habitats on private and public lands in South Texas. The South Texas Natives Research Farm is a twelve-acre facility located at the Tio and Janell Kleberg Wildlife Research Park. The property was made available for South Texas Natives during 2003. Existing facilities include five acres of land used for evaluation plots, seed increases, and other native plant research. The farm is high fenced to exclude depredation from local deer and javelina. The 2,000 square foot storage, seed processing, and storage equipment barn was built in 2006 to facilitate the project's growth. 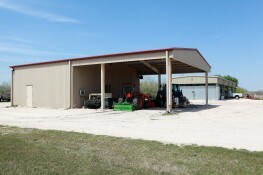 The barn was custom built seed drying storage racks and boxes designed by the South Texas Natives staff and built by students from the College's Agricultural Mechanics class. The barn also has a climate-controlled room where seed can be stored to avoid dormancy of seed stored in longterm cold storage. Equipment for planting, arvesting and maintenance of plots is housed at the barn when not in use in the field.